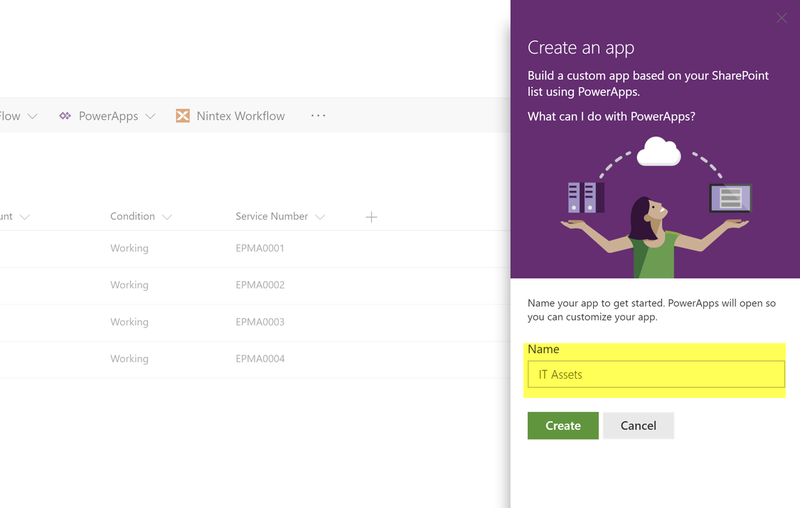 Microsoft introduced the PowerApps service back in November 2017. 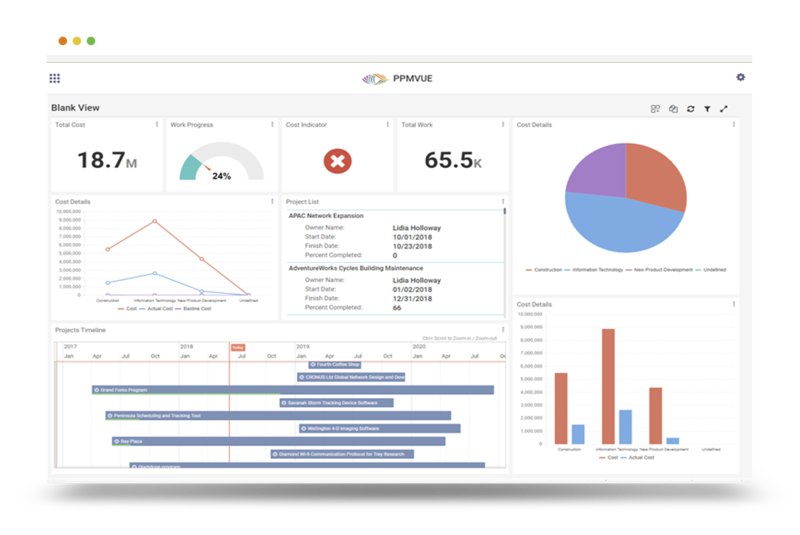 This service allows administrators to build apps that can run on a browser or phone or tablet with no coding knowledge needed. 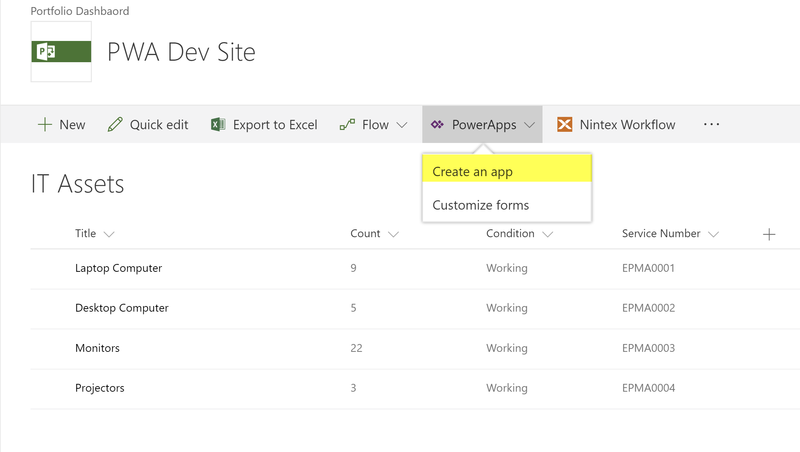 PowerApps has drag and drop features and Excel like expressions that enables end users to work with data. 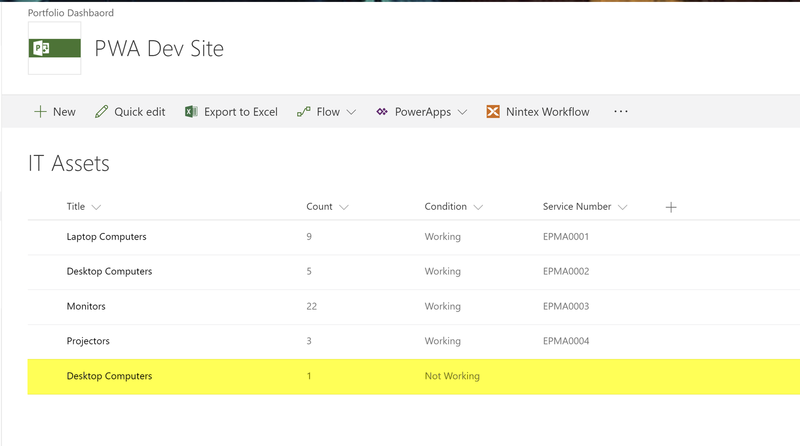 In this blog, I will show how to create a PowerApp using a simple IT Assets SharePoint list. 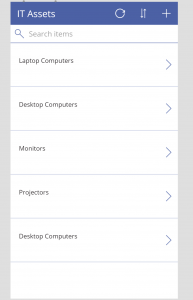 This App would be useful to IT departments that need to add IT Assets on the go. For example, it would allow users in different locations to update inventory using smartphones. 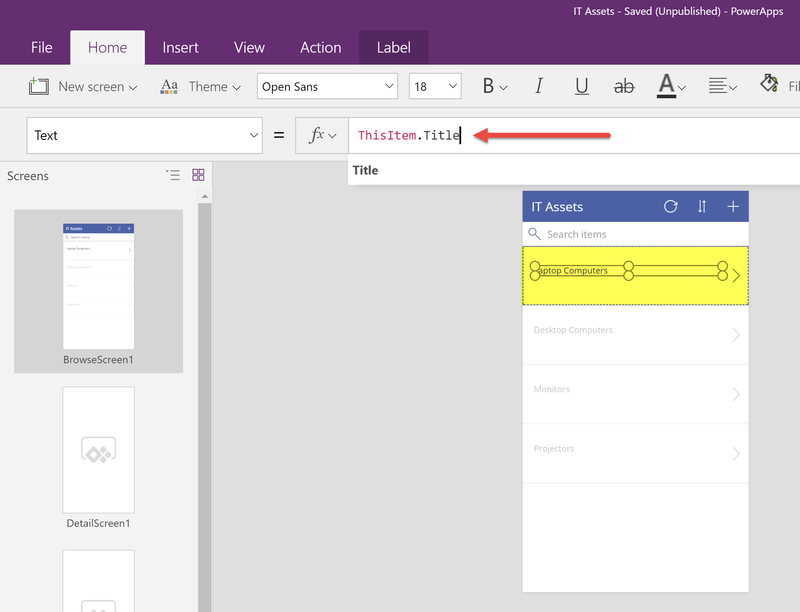 A new screen will open, and the list schema and data will automatically load into your PowerApp editor allowing you to edit the Apps’ look and behavior, such as formulas, conditions, and themes. 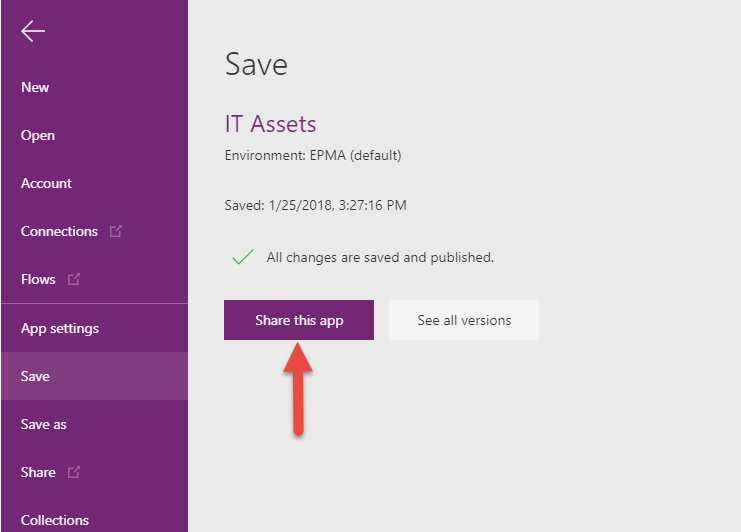 You can go back to your SharePoint list to confirm that the App added the item back to the SharePoint list. Once you have done with the changes/edits you will be able to publish and share your app on the File Tab. 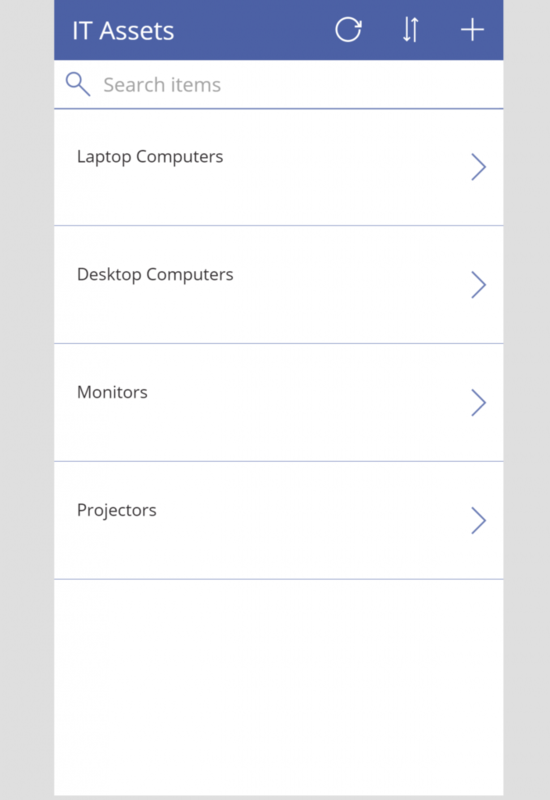 After adding the users, you want to share the App with, they will be able to access the App after downloading the Microsoft PowerApps App on IOS, Android or windows. 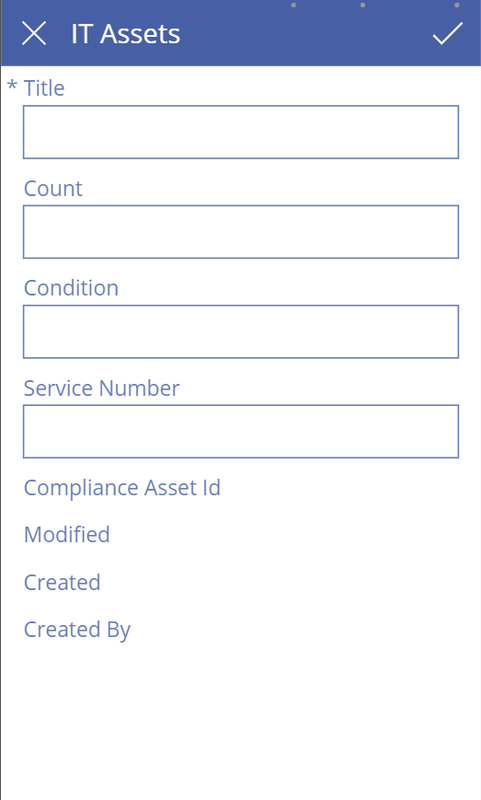 This entry was posted in Microsoft Project Server, Reporting, SharePoint and tagged Microsoft Project Online, PowerApps, SharePoint Online. Bookmark the permalink.